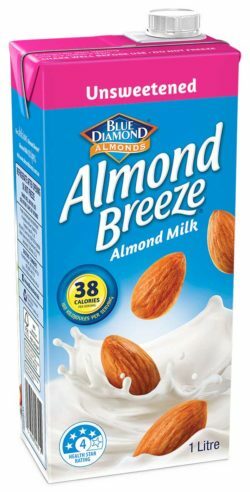 INGREDIENTS: FILTERED WATER, GROUND WHOLE ALMONDS (2.5%), TAPIOCA STARCH, CALCIUM CARBONATE (GROUND LIMESTONE), SALT, NATURAL VANILLA FLAVOUR, STABILISER (CARRAGEENAN), EMULSIFIER (SUNFLOWER LECITHIN). 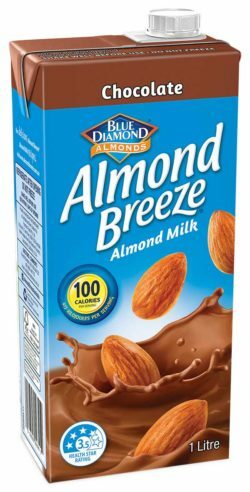 The Original Almond Breeze variety is a deliciously creamy alternative to dairy and soy milk. 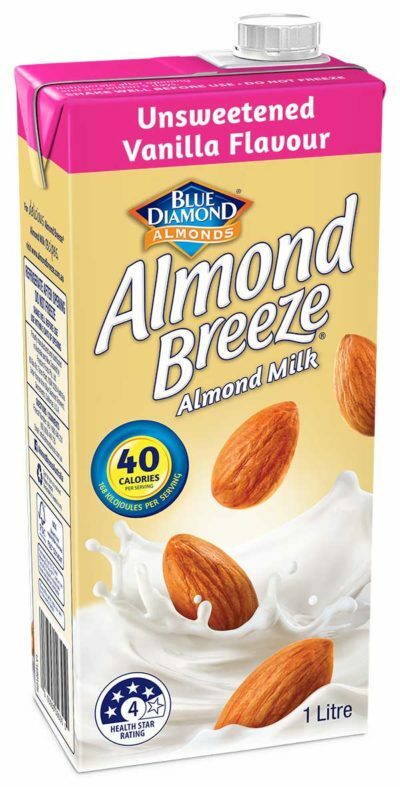 It is lactose free, a source of calcium, and contains no cholesterol.